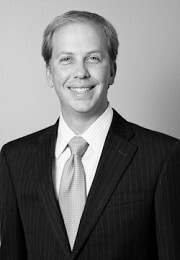 Adam Seitz is one of the founding members of Erise IP. His practice focuses on high technology, patent litigation, and post grant reviews. He has experience representing top tier clients in major pieces of litigation across the country and before the International Trade Commission. Adam also is registered to practice before the U.S. Patent and Trademark Office. Among his trial experiences, Adam was lead trial counsel for Garmin in a patent infringement matter before the International Trade Commission that resulted in a complete victory for Garmin with a finding of no infringement on all three asserted patents. That decision was upheld on appeal to the full Commission, and is now being cited as the standard for how to assess a “domestic industry” in “licensing” cases before the ITC. Adam also served as first chair attorney for Garmin in a trade secret trial in the Western District of Virginia. Adam served as second chair in a trademark infringement matter for Coca-Cola that resulted in a defense verdict of no infringement after a two-week trial. During this trial, Adam successfully excluded one of the leading trademark survey experts under Daubert. It was the first time this expert had been excluded in his 20+ years of testifying. Adam also was part of the trial team for Sprint in a lawsuit asserting VoIP patents that obtained a verdict of $69.5 million and a finding of willful infringement. This was the largest jury verdict in Kansas history and was selected as the 21st highest victory on the ALM Top 100 verdicts for 2007. For his successes, Adam has received a number of awards. In 2013, Adam was selected as a “Super Lawyer” by the Missouri and Kansas Super Lawyers publication. Adam was one of only 19 attorneys in the Kansas City area selected for this honor. Prior to that, Adam was selected as a “Rising Star” for three years in a row (2010-2012). No more than 2.5 percent of the lawyers in the state are named to the Rising Star list. 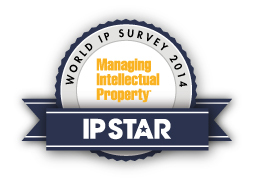 Adam was one of only eight IP attorneys in Kansas City to receive this recognition in 2011. In 2008, the Missouri Lawyers Weekly selected Adam as one of 48 “Up and Coming” lawyers in Missouri. The list honors attorneys under the age of 40 for outstanding legal achievements. Adam also has been recognized by the press for his achievements and has been featured in numerous publications and radio interviews. These include: World Intellectual Property Review (March/April 2011), “Smartphone Wars: Litigating to License”; Managing Intellectual Property (September 2011), “ITC: The End of a Rocket Docket”; Kansas City Business Journal (July 29, 2011), “Garmin’s slaying of patent troll helps fight living litigiously ever after”; Kansas City Business Journal (September 13, 2011), “Kansas City patent attorney joins critics of patent reform”; and an interview by Libby Lewis of CNN Radio (September 2011) titled “A New Invention” on the impacts of the patent reform bill—Leahy-Smith America Invents Act. “When All Elements Doesn’t Mean All Elements,” Kansas City Metropolitan Bar Association, Trademark, Copyright Committee, December 2002. “Everything You Need To Know About Intellectual Property … In About An Hour,” Patent CLE, December 2004. “What You Should Know About Intellectual Property,” Webinar, April 2005. “The Recording Industry v. The People,” HALPA, January 2006. “Depositions,” Patent CLE Seminar, June 2009. “Case Strategy for Patent Infringement Actions,” Patent CLE Seminar, July 2009. “Advising Clients Regarding Reexam,” Patent CLE Seminar, November 2009. Adam is registered to practice before the U.S. Patent and Trademark Office. He is also admitted to practice before the state courts of Missouri and Kansas; the U.S. District Courts for the District of Kansas, Western District of Missouri, and Eastern and Western Districts of Michigan; and the U.S. Court of Appeals for the Federal Circuit.